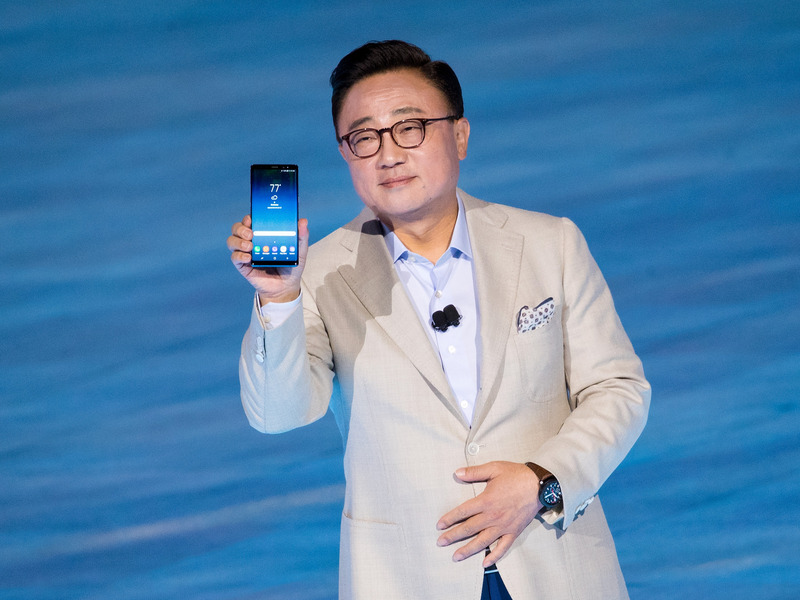 Drew Angerer/Getty ImagesDJ Koh, president of mobile communications business at Samsung, with the Galaxy Note 8. KGI analyst Ming-Chi Kuo has released a new note to investors (which we saw via 9to5Google) in which he says he doubts that Samsung’s next Galaxy Note smartphone will have an in-display fingerprint reader. Kuo released a note last year in which he (correctly) predicted that the Galaxy S9 would stick to a more standard fingerprint reader, and that the scanner placed underneath the display would see the light in the second half of 2018, when the tentatively named “Galaxy Note 9” should hit retail stores’ shelves. We are now in March, about six months from the typical Galaxy Note launch window, and Kuo is telling investors that Samsung will “likely” drop the feature due to “technological difficulties,” ranging from issues with screen protectors to accuracy and speed. Most recently, Chinese phone maker Vivo announced a device, the X20 Plus UD, which uses the lower third of the screen as a fingerprint reading area.